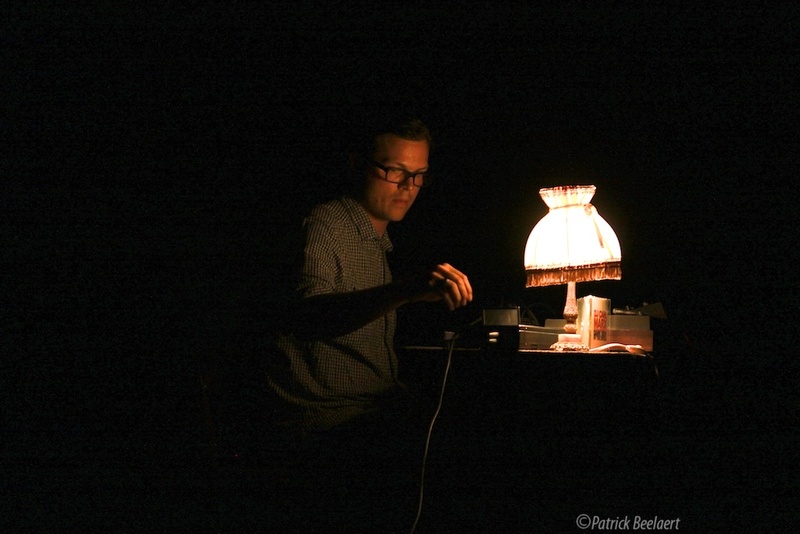 Patrick Thinsy has been playing music for the last 10 years, in rock, collective improvisation and solo settings. Using turntables, no input mixing board, synths, field recordings and objects to create his sound, from violent bursts of feedback to slow evolving electro-acoustic soundscapes. His main concern in improvising is taking chances, testing the audiences and fellow musician's reactions, pushing them and trying new things all the time. His current project includes writing a composition in tribute to Phill Niblock ‘Unplugged’ which is a 100% acoustic project based on the manipulation of metallic balls. He is a member of the penskyplochingen duo and of the martiensgohome collective. He has collaborated with Martin Tétreault, Clare Cooper, Ignaz Schick, Stefaan Quix, z’ev, Els Van Riel, Vincent Matyn, Robert Curvengen and recorded two soundtracks for the Playsure dance company. As a visual artist, he’s working on sound installations, objects, films and paintings.